If you are injured on a construction site, even if there is worker's compensation insurance, you may be entitled to additional compensation for your injury! This compensation may be available regardless of whether you are injured while at a residential, commercial, or industrial construction site. It is thus critical to identify whether someone other than your employer or a co-employee was responsible for your accident. A large percentage of construction site accidents involve the negligence of someone other than a co-employee or employer. Many subcontractors may be involved and responsible for your damages. The general contractor may likewise	be ultimately responsible for your damages as well. In addition, your accident may have occurred as a result of defective products used on the construction site, in which case the manufacturer and/or supplier of those products may be responsible for your damages. Timely investigation of the accident is the key to identifying and successfully prosecuting actions arising from the negligence of contractors and subcontractors responsible for safe construction site practices, and from	defective products used on the construction site. The investigation may include such steps as interviewing witnesses, obtaining photographs of the accident location before there are any changes, obtaining copies of the work site plans and of the contracts between the General Contractor and the subcontractors, obtaining copies of any safety manuals used by the General Contractor and the subcontractors, working with construction site experts to establish who was at fault for the accident, and working with medical experts to determine the nature and extent of your injuries. Whether you are a laborer, carpenter, heavy equipment operator, electrician, steel or iron worker, plumber, mason, or member of any other construction trade, you and your family deserve the peace of mind of knowing whether you are entitled to more than worker's compensation benefits for your injuries. The nature of construction site accidents, however, requires early investigation and legal intervention due to the near daily change of the scene of the accident itself. 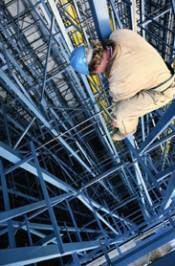 Thus, if you have been injured at a construction site, you should obtain legal assistance immediately.